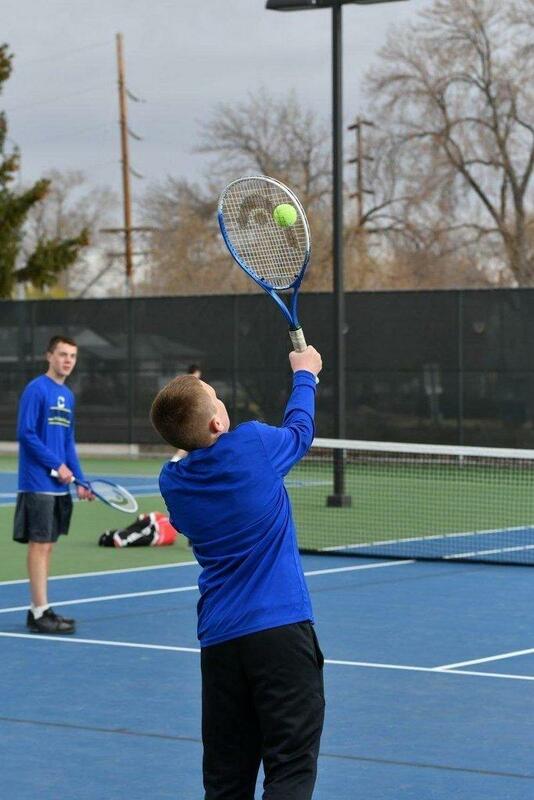 Friday afternoon saw the Carbon Dinos boys’ tennis team competing at the regional tournament. The team played well and were able to secure third overall in the region. Jackson Rosier and Canden Stockdale were the first to make it to the championship match in first doubles. Although they fell behind to a Union team in the first set, 2-6, the duo had a strong comeback in the second set and secured 7-6, forcing a third set on a set tiebreak. However, the third set was the boys’ eighth that day and they were unable to secure a final win, ending 2-6. Jack Christiansen and Bonham Brewer made up the second doubles team, also making it to the championship match. However, the duo lost to Union with a score of 0-6, 1-6. Carson Martines took third overall in second singles, winning two matches of the day. Chandler Clifford and Zade Carrillo also won matches, assisting the team in the effort. The boys qualified three positions for the state tournament, which is slated to take place on May 11 and 12.